The changed business environment had hit the once-monolithic BHEL hard. It is trying to move with the times, but pitfalls remain. 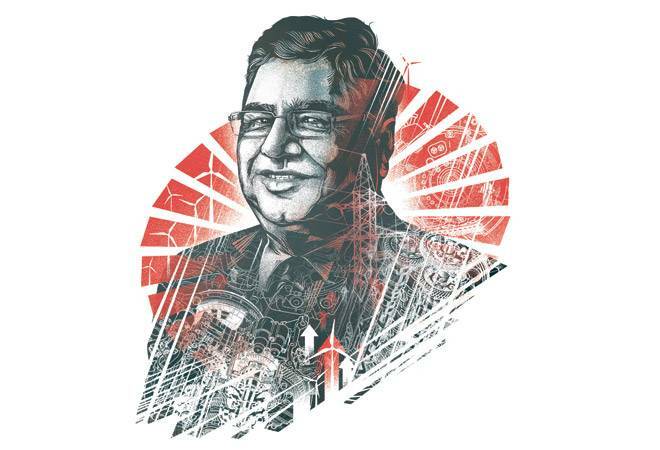 In mid-January 2016, a week into his new job as chairman and managing director of BHEL, Atul Sobti took a decision - he would share with his employees the difficult situation the company was in. BHEL's financials, which showed falling revenue and profit, were no doubt public, but the details and extent of its problems were not. In his speech during a visit to BHEL's Hyderabad facility - where about 3,000 of its 50,000 odd employees work - he revealed that the demand for its principal products was falling steeply, both because the power sector was not doing well and due to growing competition from cheap Chinese imports and domestic private players. He noted that BHEL's recent diversification plans had not progressed as well as they should have. Returning to Delhi, he wrote separate letters to different sections of employees, including the workers, reiterating all he had said earlier, even ensuring that the letters were translated into many regional languages. Started in 1964, BHEL - formerly Bharat Heavy Electricals Ltd - is an iconic company, a Navaratna public sector unit, having pioneered, along with its parent Heavy Electricals Ltd, the making of thermal power generation equipment in the country: boilers, turbines, generators and more. But it enjoyed a monopoly then, and with the liberalisation of the economy from the early 1990s, was bound to face challenges. As Sobti had feared, BHEL ended 2015/16 with a loss of Rs 710 crore - the first in its 54-year long history - down from a net profit of Rs 6,615 crore only three years earlier. Revenue similarly halved from Rs 50,156 crore in 2012/13 to Rs 25,091 in 2015/16. (See Slow Comeback.) But Sobti, backed fully by Minister of Heavy Industries Anant G. Geete, is engineering a comeback, and he believes being frank about BHEL's problems was the first step. "Transparent communication with my colleagues helped me to gain their confidence," he says. BHEL had vast sums committed to equipment for thermal power projects across the country, which had stalled, mainly for lack of environmental clearances or because of cases against them filed by different stakeholders. For a start, these projects had to be set humming again if BHEL was to get back its groove. 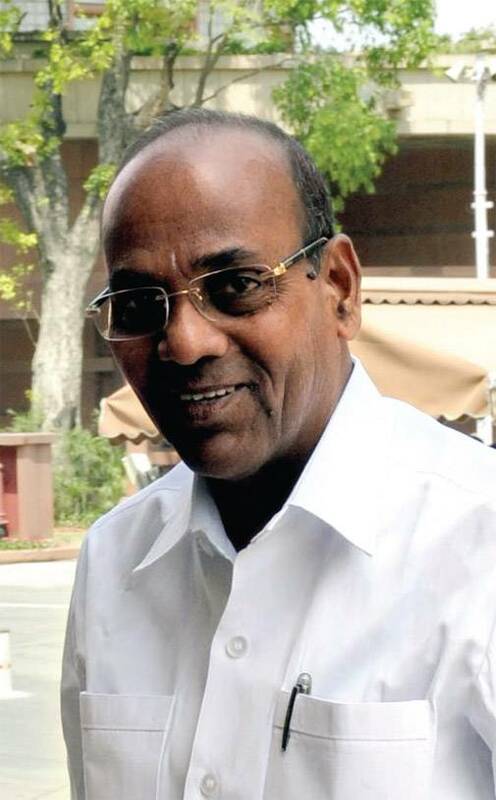 Geete is a Shiv Sena MP, but despite the Shiv Sena's prickly relationship with the ruling Bharatiya Janata Party, he set aside political considerations and worked hard to help BHEL, liaising with different state governments. "I asked several chief ministers, power ministers and bureaucrats in charge to intervene and get these projects unlocked," says Geete. "It was in their own interest. Many were convinced by my arguments." The biggest chunk of stalled projects were in Telangana, where, thanks to the joint efforts of Geete's ministry and the state governments, Rs 31,000 crore has been unlocked. "We worked with the state government to enable the Telangana State Power Generation Co (TSGENCO) to present its case in environment-related cases properly before the National Green Tribunal, and in many cases, get the projects cleared," Geete adds. There were similar successes in Maharashtra, Uttar Pradesh and elsewhere. BHEL's order book of executable projects rose to Rs 98,628 crore by April this year from Rs 59,415 crore two years ago, while still-stalled projects fell to Rs 19,508 crore from a massive Rs 51,315 crore in the same period. BHEL ended 2017/18 with a net profit of Rs 807 crore. Rating agency CRISIL has revised BHEL's outlook to 'stable' from 'negative', and its rating for bank credit is now AA+. Demand is down not only because some projects are stalled, but also due to many thermal power developers being financially stressed. For myriad reasons, including the coal scam earlier in this decade and the subsequent judicial intervention, fuel shortages, policy shortcomings and their own mismanagement, power developers figure prominently among those queuing up before the National Company Law Tribunal (NCLT) trying to sell their bankrupt units. The limitations of the power distribution companies in buying power, thanks to their own financial troubles, has also contributed. The government is trying hard to set its discoms in order with the Ujjwal Discom Assurance Yojana (UDAY), but it has still some way to go. "I firmly believe this is a temporary phase and once discoms get out of their fiscal mess in the next two to three years, the demand for electricity will increase dramatically," says Sobti. He notes that India's per capita power consumption - at 1,197 KwH - is one-tenth that of the average American's and one-fourth the average Chinese, and thus bound to increase as the country develops further. Besides, 11 GW of thermal power equipment will need to be retired in 2022, and another 12 GW the following year, replacing which could provide BHEL plenty of orders. There are important new projects, too - for instance, BHEL is supplying equipment for the Advanced Ultra Supercritical Plant being built by NTPC in Chhattisgarh, an 800 MW project designed by the Indira Gandhi Centre for Atomic Research (IGCAR) which, Sobti maintains, is the world's first such project. But there is no doubt that thermal power plants - and in turn, their equipment suppliers - face an uncertain future. Increasingly, coal is seen as 'dirty' fuel, and renewable energy as the all-encompassing solution. In just a few years, the renewable energy component of India's installed capacity - currently around 344 GW - has risen from almost nil to around 20 per cent. Power Minister R.K. Singh has said he wants it to double to 40 per cent by 2030, in keeping with India's commitments at the COP21 climate conference in Paris in 2015. India has also set itself a much-publicised target of 175 GW of renewable energy by 2022. Already India is adding less thermal capacity than before - 8.7 GW in 2017/18 against 11.55 GW the previous year - and even as power demand increases, use of thermal power is likely to reduce further. "The days of strong performance on the back of power sector growth are gone for us," says a senior BHEL official. BHEL is not the only company, which is feeling the pinch. GE Power shut down its manufacturing unit at Maneja in Gujarat, in August, citing the 'market situation' as the reason. "The entire capital goods sector is under pressure, because receivables are either low or weak," says Rahul Prithiani, Director, Industry and Customised Research, CRISIL. "There is only incremental addition to thermal power capacity. In the long run, players in this segment, including BHEL, will have to look for alternatives." BHEL has been trying to diversify for a long time; even so over 75 per cent of its revenue still comes from thermal power equipment. Its second biggest manufacturing segment is railway equipment. It won an order to manufacture 30 railway locomotives of the WAG 9 class to replace existing fleet - the first replacement order of locomotives by Indian Railways in a decade - and has since supplied the first lot in mid-September. "I told the Railway Board that BHEL can make not only locomotives, but also supply many other requirements of the Railways," says Sobti. "The modernisation of the railways alone could keep BHEL thriving for the next 10 years." BHEL has also entered into a joint venture with Japan's Kawasaki Heavy Industries to make metro coaches. But there are hurdles, access to cutting-edge technology being one of them. "BHEL will need to improve its technology and its capacity to build designs, and learn to execute projects more efficiently if it wants to compete," says Bharat Salhotra, Vice President, Sales and Business Development, Alstom - a French railway equipment heavyweight. Many in Indian Railways, on condition of anonymity, agree with him. Against the order for 30 locomotives given to BHEL, Alstom has bagged one to supply 800 of them, each of 12,000 HP - twice the power of the WAG 9 ones - which are being built at its factory in Madhepura, Bihar. The Railways have also signed another agreement with GE for locomotive supply, built at its Marhowrah factory, also in Bihar. In the last two years, BHEL has moved into defence and aerospace, transportation systems, hydro power and renewable energy equipment. It has set up separate verticals for each of these, setting them specific targets and hopes in coming years, 50 per cent of its revenues will come from these. (A Comptroller and Auditory General report in 2016 noted that BHEL should have embarked on this course much earlier.) It already has solar cell and solar panel manufacturing facilities, which are being expanded. The segment has great potential, since India is currently heavily dependent on imports of solar equipment, and the government is keen to encourage local manufacturing. It is also making lithium-ion batteries in partnership with the Indian Space Research Organisation, which, too, has bright prospects, with the government pushing strongly for electric vehicles. BHEL's exports began many years ago, but it is now looking for overseas opportunities much more aggressively, especially in the neighbourhood and in South-east Asia. It has installed nearly 11 GW of projects outside India, and earlier this year won an order to build two 660 MW ultrasupercritical thermal power plants in Bangladesh - its biggest overseas order so far. It is also setting up a 900 MW hydro project in Nepal. 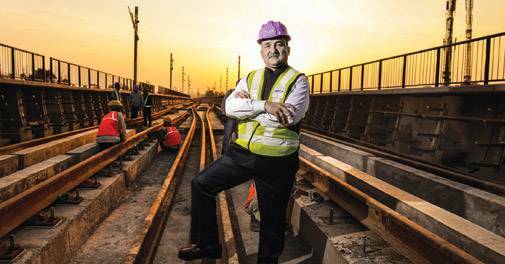 "BHEL has made a start, but it will not be easy as for every such project it will face global competition," says the CEO of a rival private firm, unwilling to be identified. "It will need to undergo a cultural change to win contracts."